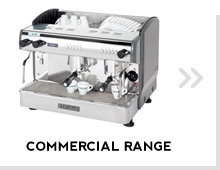 Your coffee machine is an important tool in your business. In order to keep it in perfect working condition and as trouble free as possible please respect the following. Manufacturers advise you to clean the group every day or throughout the day, with the blind or rubber membrane and water. Cleaning with backwash (shampoo) at the end of a busy day or at least once a week. Brush away loose grounds from the group head. Place the blind filter basket or the rubber membrane in the portafilter handle. Place the recommended amount of cleaning powder (Pulycaff or Cafetto) in the blind. Connect the handle to the group and operate the continuous pour button for 5 secs. Replenish the blind filter with powder if residue is stained brown. Repeat until clear. Rinse blind and portafilter - repeat without cleaner to remove cleaner residue. Repeat on all the group heads. Caution: This operation is very dangerous and requires caution. 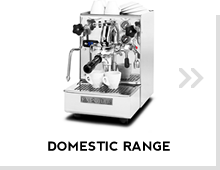 If in any doubt, ask your coffee supplier for a demonstration. The exterior should be wiped over with a damp, soft, non abrasive cloth. Unlock & remove the portafilter from the group head. Use head brush to loosen all grinds and oils from the rubber head seal. Place either the rubber blind membrane into the double filter basket or remove the filter basket entirely & insert the blind metal disc. Activate the auto-cleaning cycle as follows: Switch off the machine, then press & hold the 2 ristretto (2 short coffees or 3rd button) on the touch pad, turn the machine back on. Release the button; auto cleaning is engaged and will run through 5 times before disengaging. Unlock & remove the portafilter, rinse out under the group & repeat auto cleaning cycle until the water in the portafilter is clear. Check to see the head seal and screen are clean. Clean each group head this way. Back flush with just water at the end of everyday & throughout the day as coffee volume requires. Start as per steps 1 & 2 above. Place back flushing chemical into the portafilter. 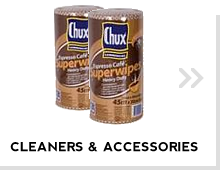 Use only approved espresso cleaning chemical (Expobar NZ stocks Cafetto or PulyCaff cleaning products). Use a back flushing chemical at least every two – three days based on volume of coffees made each day. NOTE: For Expobar machines without touch pads you will need to manually back flush taking care not to run the group too long (no longer than 15 sec) with the blind inserted. If you have an Expobar Diamant the auto cleaning is engaged differently and is outlined in the Diamant operator manual. Unlock the portafilter from the group head. Place the blind metal basket (no holes in it) in the empty portafilter or the rubber membrane on the filter basket in the portafilter. Place the recommended amount of cleaning powder (Pulycaff or Cafetto) into the portafilter. Switch OFF the machine with the general switch. Press the middle push button (2 short coffees) on the control panel, switch on the machine keeping your finger pressed on the middle button and the self-cleaning process will start automatically. 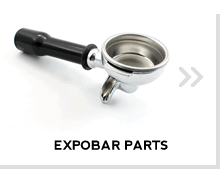 DO NOT manipulate the portafilter during the auto-cleaning process. Once the process has finished, the machine will be in normal working position. Important: After cleaning with backwash, remove the portafilter and run the group again to rinse out all remaining detergent. Repeat cleaning without detergent/backwash one more time for a perfect result. Fill the filter basket (in portafilter group handle) with coffee for either single or double shot, depending on the button to be programmed. Place portafilter / handle in group to be programmed and place a “measuring cup” or cups under the pourer. Press the continuous pour button (*, far right on control panel) of the appropriate button block until LED lights display. All lights should display. Press the button you wish to programme. Press it again when the correct volume is extracted. Button is now programmed. Repeat steps 1 – 4 with the other buttons as necessary. Switch machine off then on again to “lock” the programming in that you have just done. Use fresh coffee for each programming attempt. LED of programmed button will extinguish when done – buttons yet to be done will remain illuminated. LED’s will extinguish quite quickly and often before you are ready for the next button. Simply push the * button again to resume. Both button blocks (control panels), if 2 group or larger machine need to be done because they are independent of each other. button switch the machine on. Lights on the first & third button will now be lit up. Then switch machine back on. Lights on the second & fourth button will now be lit up. As with other programming any action preformed on the left hand touch pad will be duplicated on all other touch pads. Programming carried out on any other touch pad will only effect that touch pad.